Our precisely engineered range of Plano Milling Machines offer high effectiveness to the user and is well known for its rigid construction and highly synchronized parts. These are customized as per the requirements of our clients and are available at industry leading prices. Further, our warehouse facilities are also provided with appropriate packaging and delivery processes to enable optimum satisfaction of our clients. We manufacture a wide range of Plano Miller for precision shaping of metals and other solid material. 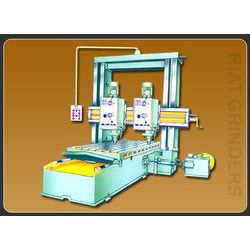 These are used in Metalwork sector for various processes like routing, slot cutting, turning and welding. The standard accessories of Plano Miller Machines are Lubrication Pump and Wiper on all axis. Our Plano Miller machines in various lengths and widths, and provide extra milling heads on cross-slide and columns, power lifting of cross-slide and cross traverse Gear Box. Looking for Plano Milling Machine ?